John B. Collins is the senior partner at Bongiovanni, Collins & Warden. John specializes in plaintiff's medical malpractice and product liability matters involving catastrophic injuries and wrongful death. He has tried to verdict and settled dozens of multi-million dollar matters. Mr. Collins has been a partner in the firm since joining it in 1981. He is one of the founding members of the law firm. John is a lecturer to other attorneys of the bar concerning trial issues. Because of his long and successful track record of handling complex, catastrophic, and multi-million dollar matters before the state and federal courts of New Jersey, he is often times referred such matters from other attorneys, who seek to rely on his trial expertise. John has one of the best reputations as a trial attorney in northern New Jersey. John B. Collins is Certified by the New Jersey Supreme Court as a Civil Trial Attorney and has almost 40 years of trial experience. John B. Collins has obtained an "AV" peer review rating which is the highest rating for an attorney by the Martindale-Hubbell attorney rating system. An AV® certification mark is a significant rating accomplishment - a testament to the fact that a lawyer's peers rank him or her at the highest level of professional excellence. An AV Peer Review Rating shows that a lawyer has reached the height of professional excellence, he or she has usually practiced law for many years, and is recognized for the highest levels of skill and integrity. Member of The National Trial Lawyers "Top 100 Trial Lawyers"
Membership in The National Trial Lawyers is by invitation only. Membership into The National Trial Lawyers is limited to the Top 100 Trial Lawyers from each state. Selection for The National Trial Lawyers is extended to civil plaintiff's attorneys by special invitation. Candidates are considered for membership in The National Trial Lawyers based on superior qualifications, leadership, reputation, influence, stature, and profile in the trial lawyer community. Mr. Collins is a Member of the Million Dollar Advocates Forum. Established in 1993, the Million Dollar Advocates Forum is one of the most prestigious groups of trial lawyers in the United States. Membership is limited to attorneys who have won million and multi-million dollar verdicts and settlements. There are only about 4000 members throughout the country. Less than 1% of U.S. lawyers are members. John B. Collins has been elected to the 2008-2016 lists of "Super Lawyers." Super Lawyers names New Jersey's top lawyers as chosen by their peers and through pendent research. The list of New Jersey Super Lawyers is based upon surveys of the more than 35,000 lawyers across the state who have been licensed to practice for five years or more. The goal was to select as Super Lawyers, the top 5 percent of New Jersey attorneys in more than 60 practice areas. The list of New Jersey Super Lawyers is published annually in the May issues of New Jersey Monthly Magazine and New Jersey Super Lawyers. 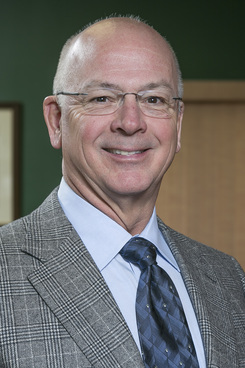 John has frequently lectured to other lawyers on topics concerning medical malpractice and trial experiences. Born in Orange New Jersey, May 30, 1950; admitted to New Jersey bar 1976; U.S. District Court, District of New Jersey; U.S. Court of Appeals, Third Circuit. Commissioned United States Naval Academy, Annapolis, Maryland; Upsala College (B.S. Economics, 1973); Seton Hall University School of Law. (J.D. 1976). Morris County Bar Association; New Jersey State Bar Associaton; ATLA-NJ; ATLA Board of Governors (1990-1996); American Bar Association. Medical Malpractice, Wrongful Death, Construction Accidents, Workplace Accidents, Product Liability Law; Automobile Negligence; Premises Liability. Crowe v. M & M/Mars, a Div. of Mars Inc.